This week the best news includes Rocky Clark retiring from England Rugby, Australia hosts New Zealand for a two game series, England sweeps the U20 Tri-Nations tournament, Richie Walker departs from USA Rugby 7s and WPL results from week 1. Rocky Clark announced her retirement from International rugby with England. She debuted for the Red Roses in 2003 and relived her incredible career highlights and milestones in an emotional video in which she addresses her younger self. New Zealand and Australia are both releasing hype videos, websites and backing from their unions as the bid for the 2021 WRWC heats up. 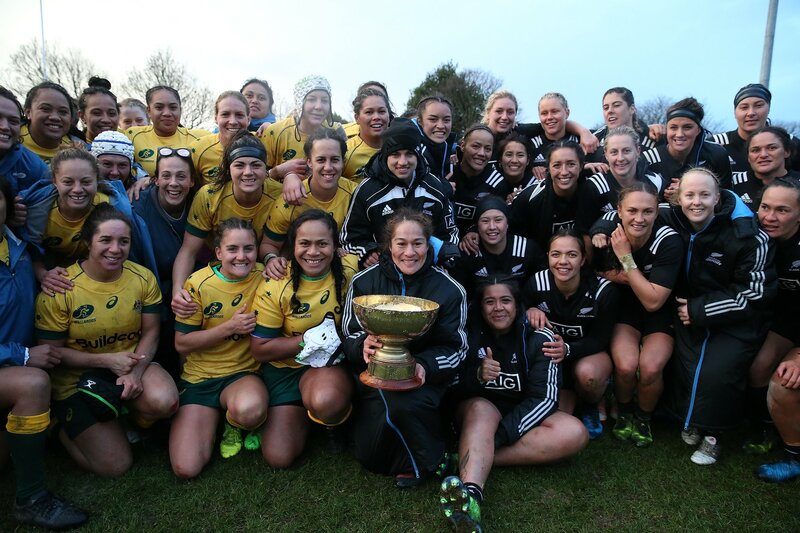 The battle for the 2021 WRWC hosting rights had a bit of peek into what could be as Australia welcomed the Black Ferns for their first test match in Sydney. Australia welcomed them with traditional Aboriginal and New Zealand answered back with their own waiata in response. Our #Wallaroos enjoy camp in Canberra ahead of #AUSvNZL. New Zealand took the first match against Australia in a high scoring affair, 31-11. In an unexpected move, USA Rugby announced the departure of Richie Walker as their Head 7s Coach for the women’s program. We say unexpected as Walker was just seen at the USA Rugby Club 7s Championships scouting and chatting with players at the event. Walker has held the position since 2016 when he took over from Julie McCoy who took over from Ric Suggit. The program has seen some success under Walker but not the consistency the fans felt it deserved. NEWS: Richie Walker has resigned as USA Women’s Sevens Head Coach having led the side to 4th at the World Cup. Strange timing having done so much in just 2 years. Chris Brown, men’s assistant 7s coach takes over for interim though we hear he may be posted longer term. Match officials for the HSBC World Rugby Sevens Series have been announced. Special shout out to Emily (“2”)! We continue covering the sage of the Indian rugby team as they continue to try and understand why they weren’t allowed to participate in the Asian Games. Both the men’s and women’s team finished as quarter-finalists in 2010, but were not allowed to travel to Incheon in 2014. This time around, the women’s team were ranked ninth, but did not fit into a criteria stating that teams had to be ranked eighth or higher to be sent for the Asian Games. The U20 Tri-Nation tournament continued this week as England made it two wins by defeating the USA 43-17. England completed their rout of the U20 Tri-Nations Tournament defeating Canada 27-17. They were undefeated for the event. Each week we’ll be highlighting the USA’s WPL league and that includes participating in the expert picks alongside The Rugby Breakdown, Phaidra Knight and Alex Goff. Follow along as we make our predictions each week!